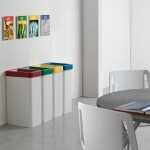 Modular baskets particularly suitable to carry out the collection for office and domestic purposes. Stem and base are made of steel with epoxy coated. 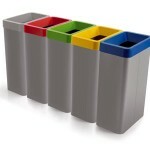 The lid is removable and is made in technopolymer available in various colors. 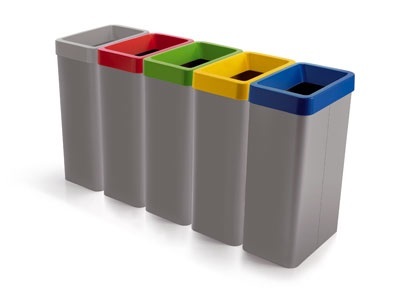 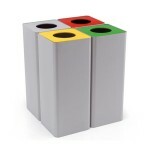 Modular bins for recycling made entirely in steel and painted with epoxy, with removable trash bag holder. 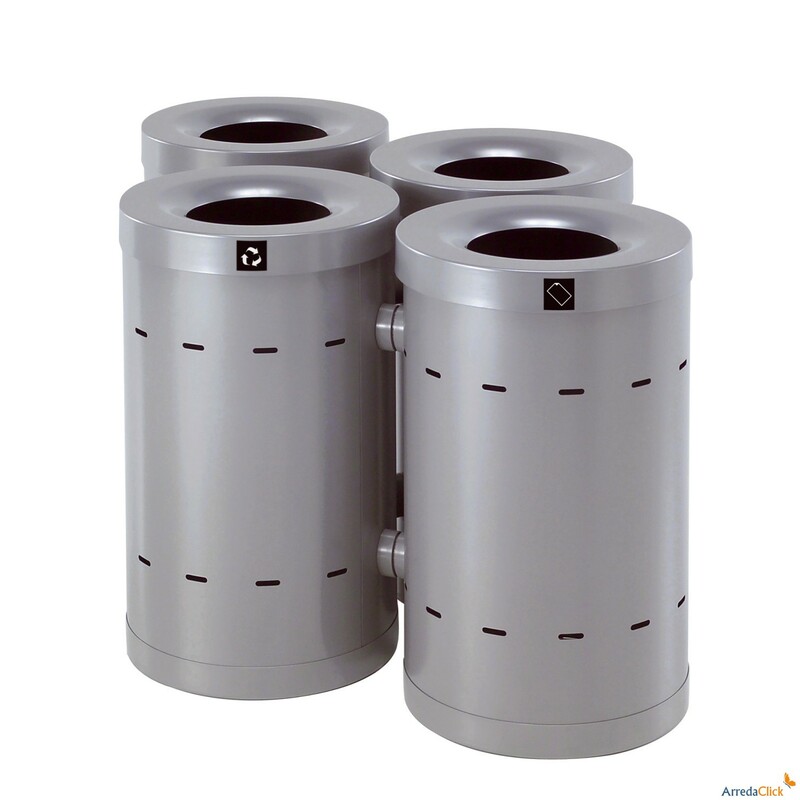 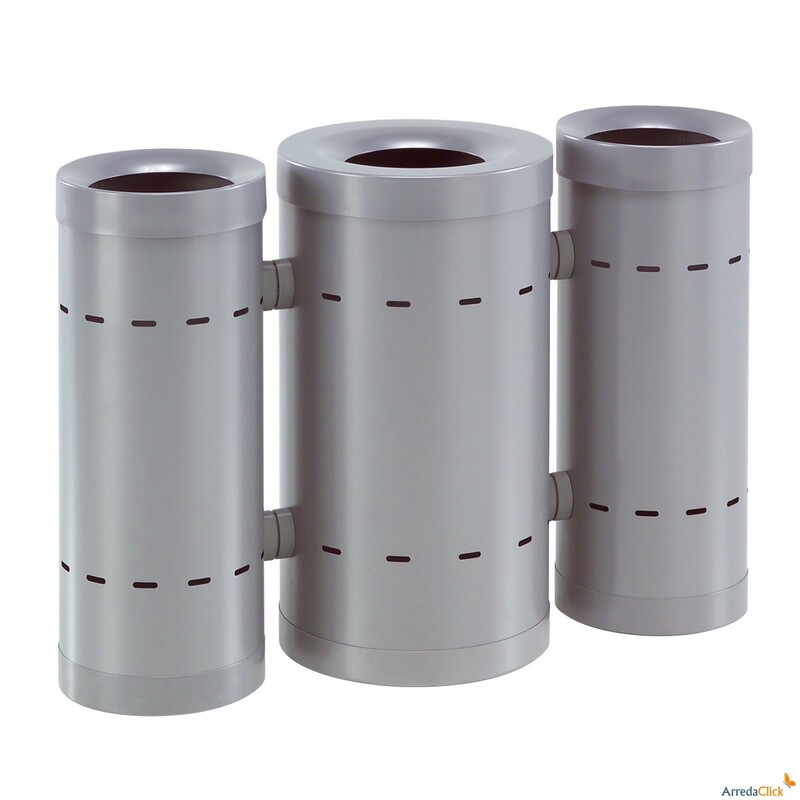 The outer holes allow, through appropriate coupling polymer, the use of more baskets with various configuration possibilities. 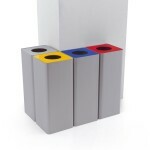 Description: paperwaste basket made up of a steel drum sheet with epoxy silver gray coated powder. Steel base with silver gray epoxy coated powder painted. 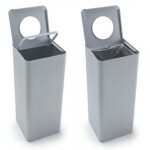 Bag holder upper tapered inwards, made of steel and coated with silver gray epoxy. 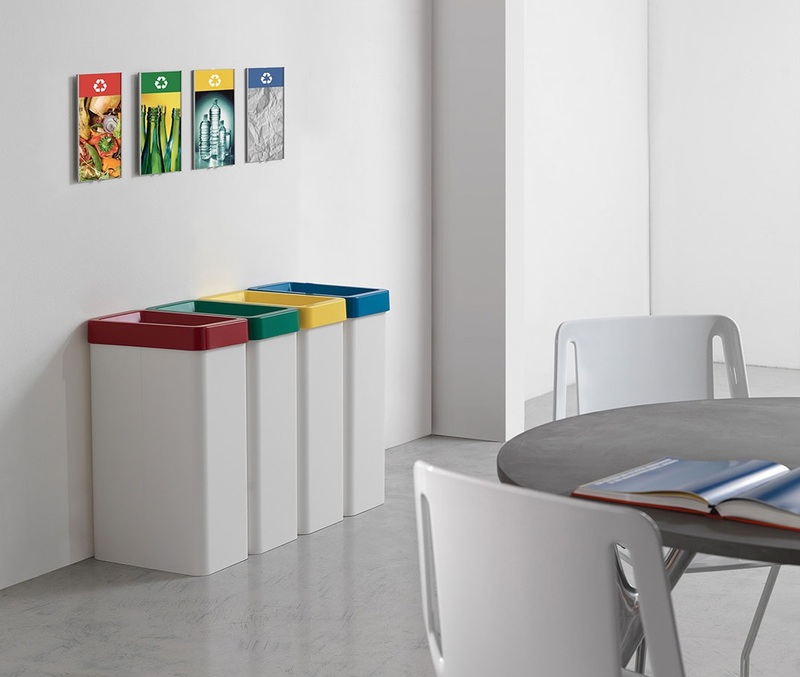 Basket for recycling with stem and base made in steel sheet thickness mm.1 silver gray epoxy painted , anti injury rounded edges and base with a profile foam to protect the floor. 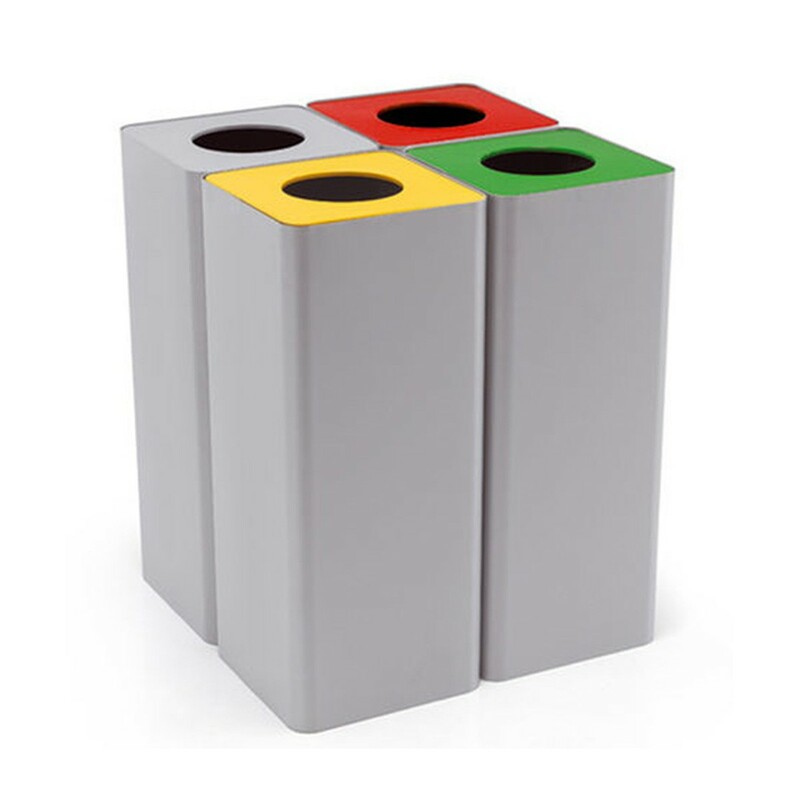 Top cover with circular central opening to put the litter, entirely steel made with epoxy powder painted, available in gray, red, green, yellow and blue. 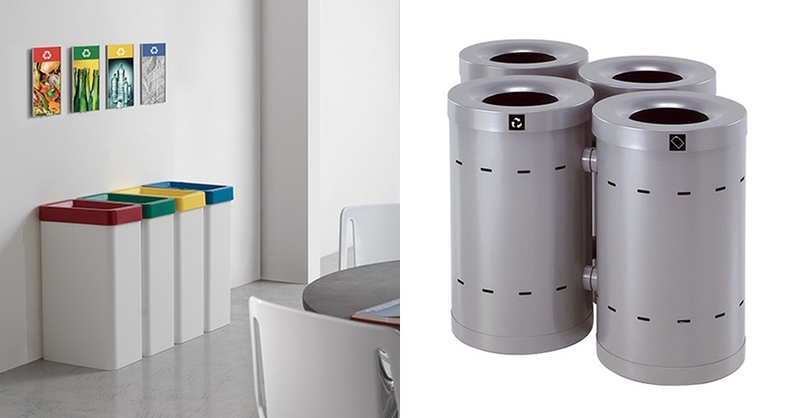 The lid is hinged to the body by screws and is lifted to allow the access to the shaft for the waste bag insertion. 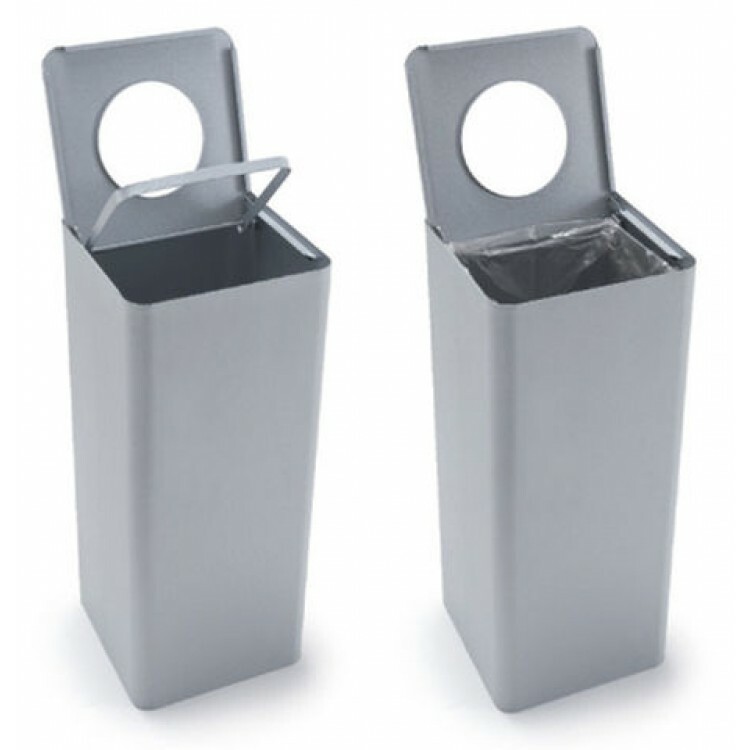 The basket is equipped with inner steel bag holder, hinged by screws through the stem for easy insertion, and removal of the waste bag . 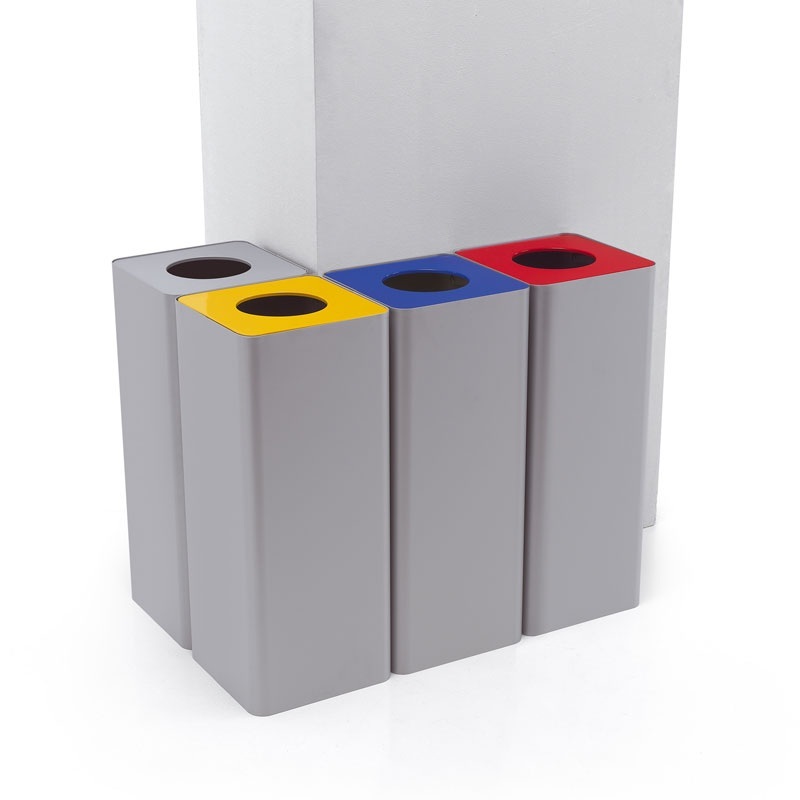 Code: 236 Description: exhibitor methacrylate envelope applicable to the containers using double-sided adhesive.